A Catholic woman has made history by being elected as the new mayor of an Iraqi town. Lara Yussif Zara has become the first Christian woman to be mayor of Alqosh, a small town on the Nineveh Plain in Iraq, after the Municipal Council of Qaraqosh voted unanimously for her election last Thursday. She replaces another Chaldean Christian, Abdul Micha, who was dismissed after charges of corruption. Zara, who graduated in economics and management studies in 2006, isn’t the first woman to be elected mayor in Iraq. Zekra Alwach, a Muslim, became mayor of Baghdad in 2015. 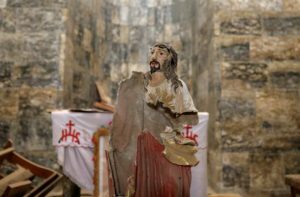 The largely Christian community in the troubled Nineveh Plain has thousands of displaced families in desperate need of aid. 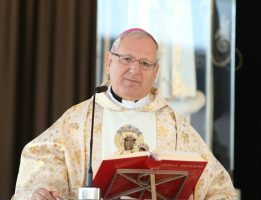 Catholic charity Aid to the Church in Need, UK (ACN) announced on Wednesday that it is giving £400,000 to help those in northern Iraq in urgent need of shelter. ACN will provide for 100,000 displaced people in Kurdish communities forced out of their homes in the Nineveh Plains by invading Daesh (ISIS) forces. According to Independent Catholic News, local commentators have said they hope the choice of Zara as mayor will defuse the tensions and discontent felt in recent weeks among local Christian communities. 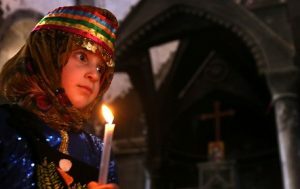 There have been pressures on Christians and other minority groups to support the establishment of an independent Iraqi Kurdistan. Wycliffe Associates has agreed to launch new Bible translation projects for 250 language groups in Nigeria.